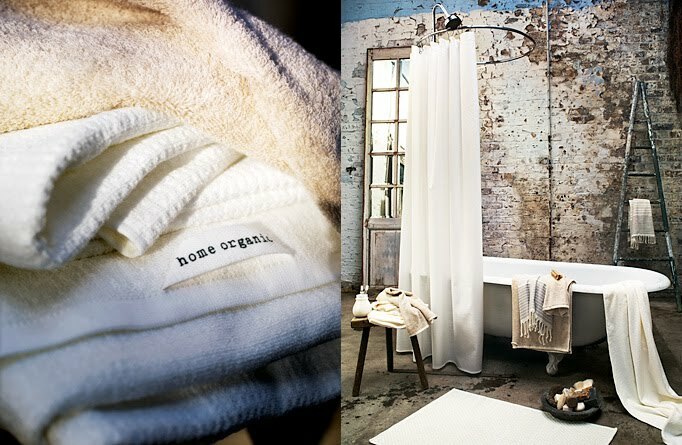 His and her showers with white (or off-white?) subway tiles. I definitely do not have room for two showers! But I love simple white tiles in brick formation. 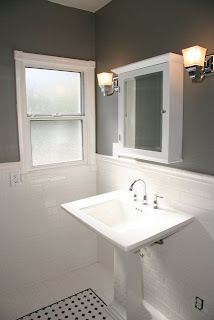 (Image source unkown) Again, the tiles struck me in this bathroom, they appear to be bevelled like our kitchen tiles. I also love the basin on chrome stand. This bathroom looks very English with the vintage style toilet and basin. I prefer chrome legs though. 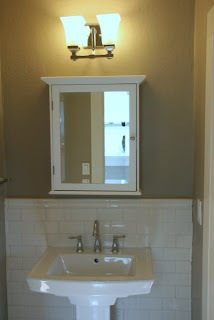 I like the simplistic mirror, it looks to be from the 1930s. There is no colour in this room, it could maybe use a splash of something... This bathroom has a near identical basin to the one I have bought for our bathroom. Rejoice, it looks great in this room, so it should work in my bathroom. Again, the classic pedestal basin looking good. I really like the soft blue, but I may go more neutral for the wall colour. Any ideas? 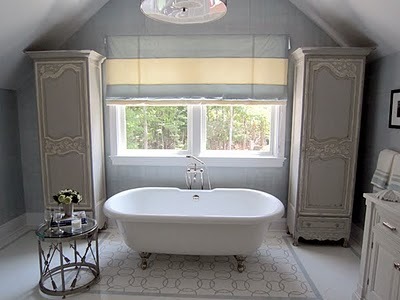 Imagine having French doors leading into the bathroom...this is really gorgeous. Classic white once again but with black details, reminiscent of the Art Deco period. I think these last images decide it for me, white subway tiles it is (well, in the shower, our only tiled area at this stage). 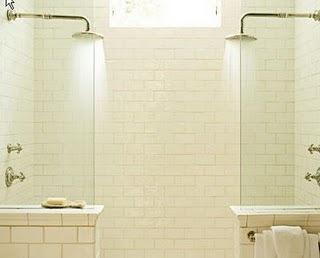 It is hard to go wrong with such a classic tile. And I love this neutral colour above. Again, if anyone has any colour suggestions, I would love to know. Hi Ria, you lucky devil with a double douche! That is pretty much unheard of here in Australia! Absolutely adore the first bathroom. Good luck with your new bathroom. That is my favourite bathroom too! Thanks, I may need a bit of luck! Wow. 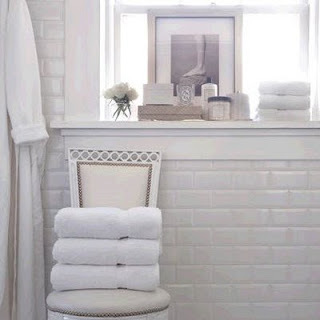 White is the most common color in bathrooms, but you can add up some details in different colors to make the space look lovelier. Black and white is the perfect combination for simplicity and elegance.